What has it been like having Jordan Raby in the team? Jordan is keen and enthusiastic, and that is what counts most at this point. Within a short period of time I am pleased to be receiving positive feedback about those who have spent time with Jordan. Many of the extended team he works with he does not meet face to face, or will not see more than once in the 12 months he spends with us; one of the particular challenges of this role. What do you look for in placement students? Discover, London. 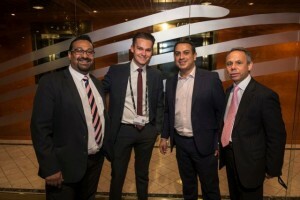 GSI India Networking Event on the Sunborn Yacht Hotel, London, UK. 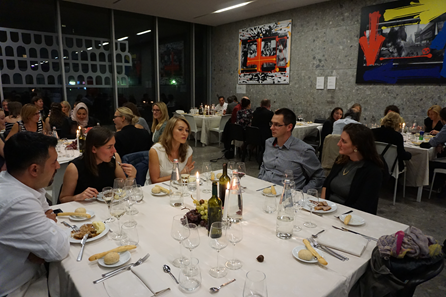 Three words to describe your placement: International, insightful & rewarding! Most interesting part of your placement? The most interesting part for me has been getting a true insight into how a global business operates and to what I could be doing in the future. It has been fascinating to see how a company with a turnover of billions actually generates its revenue. Working in an EMEA team has also meant I have had the opportunity to meet vast amounts of people from all over HPE, as well as many other companies that we work with. Hardest aspect of your placement? Understanding how to work with different cultures – in my role I mainly deal with six of our partners whose business roots mainly come from Indian heritage. It is important to realise not everyone works the same way as the UK so it has been interesting learning to adapt to these different business styles which can be very challenging at times. Most enjoyable aspect of your placement: Attending Discover 2016 – the company’s flagship event of the year where over 10,000 IT professionals come together at the Excel in London for a week. I worked on the marketing of the platinum sponsor of this event and organized strategic alliance events. It was a fantastic opportunity to network and was interesting to listen to the exciting technology innovations that are being made. I also had the opportunity to travel to the EMEA Business & Operations campus in Scotland to stay there for 4 days. Here I learnt more about inside sales, looking more at the sales negotiations and the pricing frameworks involved in deals. What have you learned that you never thought you would have this year? More so than anything else has been how you behave and act in a business environment, particularly that of sales. The placement has taught me a huge amount about professionalism and has allowed me to develop my interpersonal skills further. At university you learn about the academic side, but going into a placement allows you to gain the social skills needed in business. How has your placement helped focus your future plans? It has allowed me to have practical contact with both marketing and sales which has certainly broadened my options. I have really enjoyed both areas of work, but my eyes have definitely been opened up to a sales role. There aren’t many jobs where you get to meet and interact with people as much as you do in sales. Posted November 27, 2016 . Filed under CMC News. 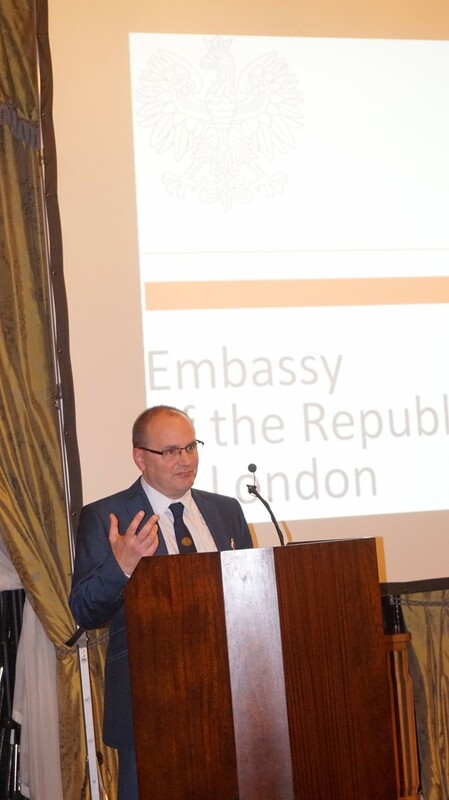 On 23rd November 2016, the Polish embassy in London hosted a public engagement event supported by the Corporate and Marketing Communication (CMC) Academic Group and the Centre for Politics and Media Research at the Faculty of Media and Communication. 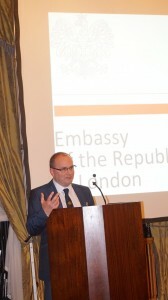 The event aimed at the dissemination of research insights produced by the Centre and by the CMC among London-based diplomats and public diplomats as well as provided a professional platform to discuss emerging trends in the practice of public diplomacy. Posted November 24, 2016 . Filed under CMC News. Recently, a team of PCC academics undertook a project for Exterion Media Ltd., in collaboration with COG research. The purpose of the study was to understand more comprehensively how commuters make use of advertising on the underground. The study involved undertaking 100 accompanied commutes with participants wearing eye tracking glasses and skin conductance receptors. Half of the sample were then interviewed afterwards, asking to comment on their eye tracking footage. We learned that commuters engage with advertising more proactively than in other environments, given the captive nature of the commute. This leads to high levels of cognitive processing and has implications for creative development. The project was awarded ‘Best Research Initiative’ at the recent Media Research Group awards and the team at Exterion were awarded ‘Best Research Team’. Posted October 12, 2016 . Filed under CMC News. Chaired by President of BU’s Politics Society, Thomas Dence, panellists including former leader of the Green Party Natalie Bennett, Conservative MP Simon Hoare, General Secretary for the Campaign for Nuclear Disarmament (CND) Kate Hudson, and politics student, Daniel Williams, came together to debate the motion of retaining a nuclear defence system. 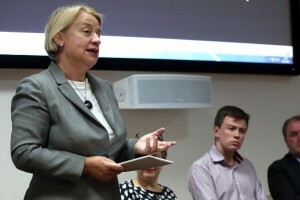 Opening the debate, Kate Hudson elaborated on her concerns over the Government’s assessment of the need for the Trident system, suggesting that the system was not able to address a “chief security threat” and “did nothing to combat the threats” posed by climate change, cyber-crime and pandemics, perhaps even making us “more of a target” due to our nuclear arsenal. Conservative MP for North Dorset, Simon Hoare MP suggested that while “nobody [was] suggesting that Trident would be used in the war against terror, the possession of Trident as an ultimate deterrent has helped to keep the peace in Europe for the last forty years”. He went on to argue that nuclear can still “be a weapon” in international diplomacy; stating that nations could unilaterally disarm, but there would be a “race of scientists” to develop a weapon to “hold the world to ransom”. 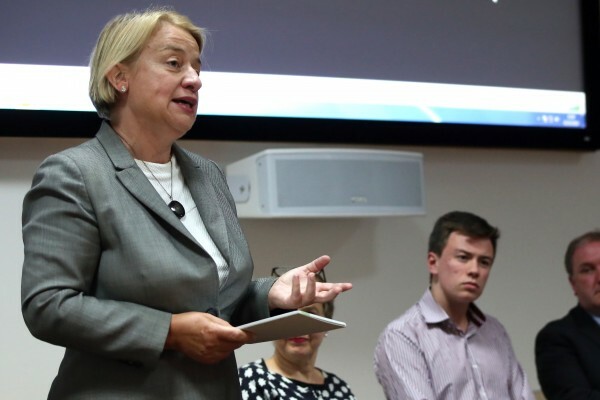 Natalie Bennett, former leader of the Green Party, suggested that Great Britain’s nuclear arsenal, contributing 1 per cent of the world’s total, was “militarily insignificant” and with the upcoming US presidential election result far from decided, did not want to “see Donald Trump with his finger on the nuclear button.” She also suggested Britain act “multilaterally” with other world states to become the 139th country to sign up to the Open Ended Working Group; a group whose ultimate aim is global disarmament of nuclear weapons. In proceeding his argument to maintain the nuclear deterrent, Daniel Williams, a BU politics student and Labour party member, argued that “the darkest moment in human history was the development of the atomic bomb”, declaring that “no one believes nuclear weapons are a good thing” but that abandoning the deterrent “would not lead to global disarmament” because of America’s intention to maintain its own nuclear weapons. 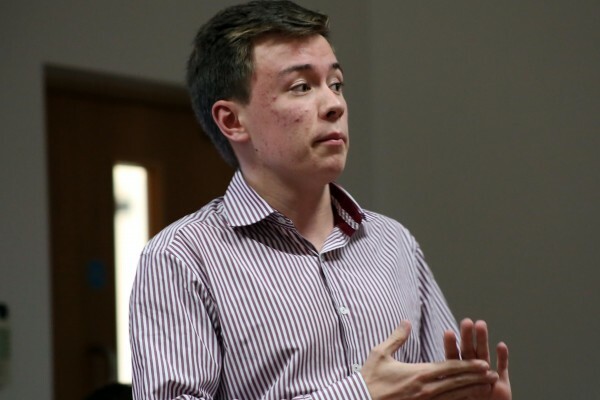 Daniel also drew attention to the debate’s status as a “mixed issue” within the Labour party itself. Posted October 10, 2016 . Filed under CMC News. The 5th International Conference on Social Responsibility, Ethics and Sustainable Business (the theme of which was ‘Corporate Social Responsibility in the Digital Economy’) held in Milan on the 6th and 7th October brought together practitioners and scholars from a wide range of disciplines and sectors from 29 countries around the world. 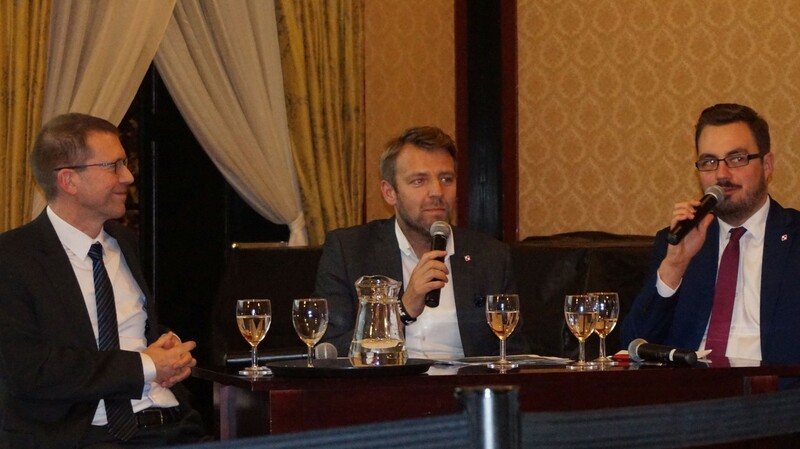 The conference was coordinated by Dr Georgiana Grigore (CMC), Dr Alin Stancu (Bucharest University of Economic Studies) and Professor Elio Borgonovi (Bocconi University). 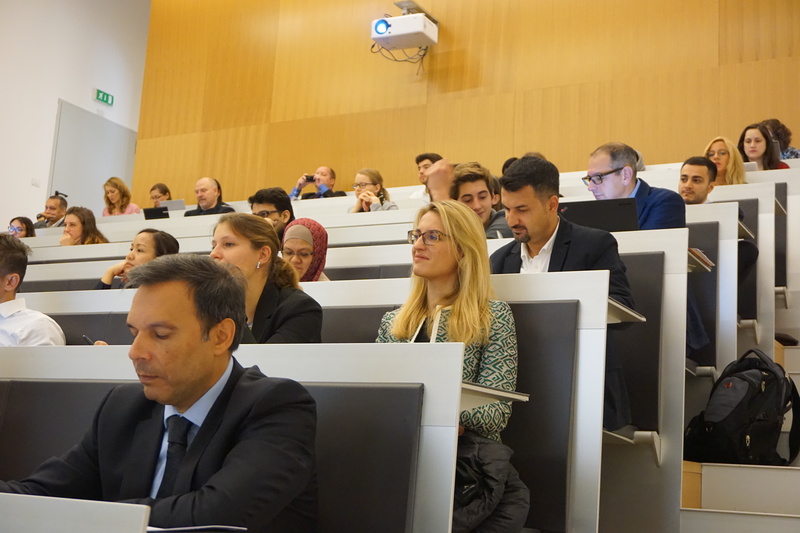 The theme of the conference this year was CSR in the digital economy and papers presented ranged from studies of ‘slacktavism’; CSR and digital communications in independent restaurants; IT support for management control systems, changes in the oil industry in Norway, to the growth of mobile financial services in Pakistan. However, a recurring issue across many of the papers was sustainability and the need for businesses to reduce their impact on the environm ent. 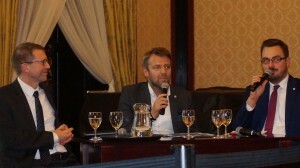 This question of sustainability was addressed directly by three of the four keynote speakers and the role of consumers and governments was also considered. Denise Baden, Associate Professor at University of Southampton explored continuing confusion around definitions of CSR and suggested a way forward might be to drop the voluntary, ‘philanthropic’ element from the construct to focus more clearly on the obligations businesses have to meet in order to maintain their license to operate. Environmental issues took centre stage in Marco Frey’s – Director of the Institute of Management of Scuola Superiori di Studi Universitari e di Perfezionamento Sant’Anna of Pisa – address which explored the UN Global Compact and the challenging goals nations and their citizens have been set to meet by 2030. Caroline Dale Ditlev-Simonsen, Associate Professor at BI Norwegian School and Co-Director of BI Centre for Corporate Responsibility – looked at the ways governments and businesses can ‘nudge’ consumers to reduce their carbon footprint and waste. Offering some interesting examples such as how a small a charge for plastic bags dramatically reduced the number of bags used and thrown away, or encouraging greater use of public transport and bicycles by cutting the number of parking spaces at work could be much more effective than information campaigns. This opened a debate as to whether people simply shifted negative behaviour to other areas and whether governments should be focused more on reducing consumption and heading towards a low or no growth economy. There was also discussion, by Paolo D’Anselmi from University Rome Tor Vergate and others around the role of competition in helping achieve CSR goals where some disagreements emerged. These arguments tended to be between those in the tradition of Milton Friedman who would roll back the state, especially in southern European countries such as Greece and Italy, where waste and poor productivity were identified. Others pointed to problems with privatisation in countries like the UK where the costs to society, such as lost employment rights and erosion of public services, had been felt sharply by many. The next ICSR conference is taking place at HTW Berlin on 28th and 29th September 2017 with a focus on ‘People and Corporate Social Responsibility in a Global World’, where organisers invite papers that place individuals back into corporate social responsibility discourses. Posted October 7, 2016 . Filed under CMC News. Rutherford (Programme Leader – MA Advertising) has been collaborating with the GP Training Programme (a part of HSS) to deliver a series of workshops using photography as a means to enhance their personal and professional development in order to promote learning and, if necessary, to make changes to future behaviour. Reflection can foster professionalism, empathy and promote learning of new attitudes. Reflection can also foster personal and professional resilience. It can illuminate what we value and what causes us stress. It is a core component of the UK Royal College of General Practitioners’ (RCGP) curriculum. In order to qualify as a GP in the UK, doctors are required to maintain an e-portfolio of reflective writing that forms a significant part of their assessment and fitness to practice. Reflective practice is also a component of annual appraisal for all qualified GPs in the UK. The GPs were asked to carry a camera with them wherever they went and to be prepared to photograph those scenes or ‘moments’ that attracted their attention with an intuitive ‘tap on the shoulder’. The GPs were then asked to examine four of the resulting photographs and to try to identify the aspect(s) of their personal or professional lives the photographs appear to describe allegorically. An academic article is currently being prepared for the British Medical Journal and an exhibition of the resulting photographs (and excerpts from the GPs’ texts in which they reflected on what they learned about themselves from their photos) will take place in the Atrium gallery on Wednesday, 14 December 2016. 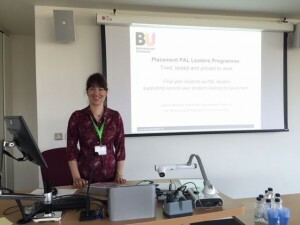 It is with honour that I delivered a session on Placement PAL at the annual ASET Conference last week at the University of York. With over 170 delegates representing 150 HE institutions from the UK, Ireland and Australia, this was a perfect opportunity to discuss current themes and trends in the sector. Entitled “Enhancing the Experience, Supporting the Student”, topics included BME attainment and the challenges for employability, tertiary education and a critical caring space to empower learners, their families and communities, the employability edge, and the impact of BREXIT amongst many others. One of the key concerns on the horizon is that of the Apprenticeship Levy which will go into effect next year. As this could very well impact the number of sandwich placements offered in industry, this will certainly be an area to watch. From my session and resulting discussions, it became clear that BU is a leader in the sector as we are one of the few institutions with a Placement PAL scheme. With three delegates contacting me for further information for implementation at their campuses, it is wonderful to see that this area of student support is growing. Being given a £10,000 project for one of our biggest clients, TRESemme, to manage completely by myself. It was great to be involved in the whole process, from initial ideas to the final execution. I then got to meet a lot of the Beauty Directors and Editors at key media titles to pitch the final product to them. Yes – this year I have thoroughly enjoyed all copywriting related tasks and have unearthed a real desire for a career in writing. I think the PR course at Bournemouth is excellent as it is so broad and has taught me a lot of transferable skills, but my placement year has made me realise PR is not the career for me and that writing is what I’m most passionate about. Apply to as many places as you can but also don’t be afraid to take an unpaid placement if it is in an industry/sector you are really interested in and would like to pursue a career in. What are your plans for the rest of the summer before you come back for final year? I am hoping to get more experience in copywriting and have applied for internships at several publications, including Condé Nast. I am keen to apply for their Graduate Scheme when I finish at Bournemouth and feel this will be an excellent way to ‘get my foot in the door’. Have you always wanted to do a sandwich placement during your academic course? Yes and this is part of the reason I chose Bournemouth University as most of the courses they offer include a compulsory placement year. I think it is so important to do a placement year as, for many employers, a degree is not enough – they want you to have relevant experience. A placement year also helps give you a sense of what you want from your future career and makes you consider pathways you wouldn’t originally have thought of. Do you think this experience has impacted your future employability? Definitely, I now have a huge set of transferable skills and a great list of contacts across different companies and sectors. I now also have plenty of relevant experience on my CV (before I had only worked in bar jobs) and a portfolio of work to show to potential employers. How was it being in the ‘real world’? At first I found the commute and hours really difficult, but after a while you get used to it and now I quite like having a more set routine. It is also nice to have the weekend completely to yourself, and not having to do any work over it. 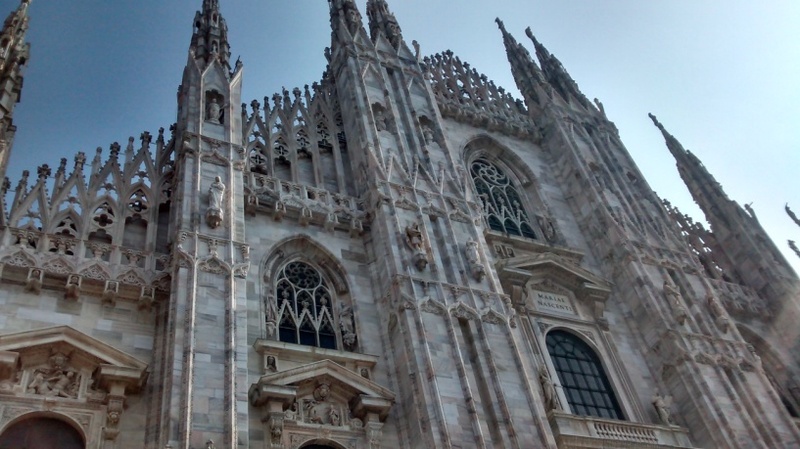 I also think I have been lucky with Beauty Seen, as it is a very fun office, which makes a big difference when you’re coming to work there every day. What was it like having a placement student on your team? Beauty Seen couldn’t function properly without interns and having a placement student on the team is always such a tremendous help. It’s amazing to see how much they grow in their year here and I’m always really proud of how much they achieve. After a year of so many highs it is difficult to pick one out, however I was lucky enough to be on the receiving end of a company paid trip to Ibiza for hitting monthly targets, which was amazing. Most of the employees went and we had a great time! Another huge high was when we recently hit 2 million users, as when I came we’d only just hit 1 million, so to be apart of acquiring over 1 million users was really something special. I always had the idea that I would go out on my own and start my own business at some point. So working closely with the founders of a start-up growing at a rapid rate has really highlighted all the pro’s and con’s to this. I can honestly say it has definitely pushed further my desire to start my own business. How did you find the support from the University? The university were fantastic, after 4 months I switched from one placement to Xceed. During this period I was really stressed about getting a new job but BU were great with helping me out; the Faculty Placements Team and the Erasmus team all helped so much. Get on top of it asap, but don’t think you have to put hours in everyday. Do an hour or so here and there, and you will be fine. I would highly recommend going abroad as you will learn so much (the weather tends to be better too). Once you have one, the pressure is gone but don’t stop looking as you may want to get additional experience after your official placement ends. I’m moving back from Barcelona and working in London for a month before heading out to South East Asia for a few weeks to relax before final year. Definitely! Having the opportunity to work in 2 young growing companies in Barcelona has been great, I’ve learned loads & furthered my CV dramatically. My employers have also given me help with my CV, as well as a number of recommendations to take to future employers! At times it has been tricky. I’ve worked from a young age anyway so I’m used to the hours/workload but sometimes when the 6am alarm went off it seemed like a real mission to get through the day. But on the whole I found that as long as I maintained a structure it was fine. Have you been able to identify what you need to do now to continue to improve your employability? Yes, this year has helped me to understand what I’m good at as well as the areas I need to improve on. So over the next year I’m going to try and put a lot of work into the areas that need improving. Hopefully come graduation time I’ll have rectified my weak areas. Do you feel that an international experience is important to today’s graduate looking to begin their career? Which 3 elements do you expect to see on a CV for a student wanting to work for you?